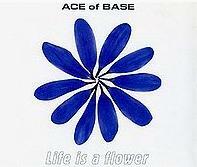 The song Ace of Base - Life Is A Flower is professional recreation. It is not by the original artist. All That She Wants Ace of Base Your browser does not support the audio tag. Always Have Always Will Ace Of Base Your browser does not support the audio tag. Always Have, Always Will Ace of Base Your browser does not support the audio tag. Beautiful Morning Ace Of Base Your browser does not support the audio tag. Cruel Summer Ace Of Base Your browser does not support the audio tag. Don't Turn Around Ace of Base Your browser does not support the audio tag. Life Is A Flower Ace of Base Your browser does not support the audio tag. Living In Danger Ace of Base Your browser does not support the audio tag. Lucky Love Ace of Base Your browser does not support the audio tag. The Sign Ace of Base Your browser does not support the audio tag. Travel To Romantis Ace of Base Your browser does not support the audio tag. Unspeakable Ace of Base Your browser does not support the audio tag.